This flavored Vapor Liquid" is placed into your Refillable Rechargeable Vapor Pen. Each bottle fills a normal 1.6ml Clearomizer approximately 8 times. This Electronic Refillable Rechargeable Hookah Pen Refillable E Hookah Vapor Liquid is compatible with all liquid refillable hookah pens! This premium hookah vapor liquid offers full, delightful flavor without all of the harsh chemical extras. This bottle of liquid is compatible with all e-cigarette Rechargeable Refillable brands and personal vaporizing devices. Available in Nicotine Free 0mg and 12mg Nicotine strength. Refillable Vapor liquids can be used to refill most Rechargeable Refillable Hookah pens , Rechargeable Refillable e-cig pens / Rechargeable Refillable shisha pen. Liquid refills come in a small 12ml bottle that allows you to have up to roughly 8 refills which will last a great amount of time and never have you running around looking for more liquids when you want to smoke most. Be sure to check out our selection of refillable Hookah Stick/Pens and disposable hookah pens. 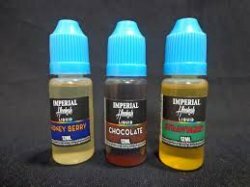 HookahShisha.org has the best vapor e ciq liquid, it is a nicotine liquid that is vaporized by the electronic cigarette into a tar free and odorless vapor. E-liquid that contains nicotine should be handled with care and kept out of reach of children and pets. Store in a cool, dry place to preserve flavor. Available in 0mg (No Nicotine), 6mg(Low), 12mg (Medium). The best e-liquid at the best price. HookahShisha.org ecig liquid has the highest ratings available and will give you the best smoking experience.